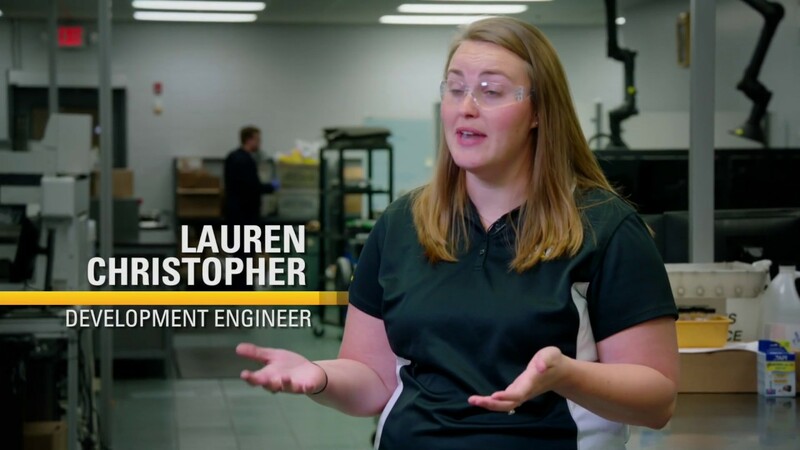 Lauren Christopher graduated from college with a chemistry degree, but she never thought she’d end up working as a Development Engineer at Caterpillar. Christopher grew up watching her grandpa work in the Caterpillar patent office and host the company Christmas program, but she didn’t think it would be a place she would also have a career. After graduation, a friend recommended her for a role in the SOS services laboratory, and she has worked with that department ever since. Christopher’s primary focus is to assist the dealers in providing fluid analysis (on oil, coolant, and fuel samples) which they use to help their customers upkeep their fleet, manage downtime, and reduce operating costs. One main way they do this is by embodying the “Let’s Do the Work” slogan. Christopher says she thinks of the constant partnership to do the work that helps both the dealers and customers.